If your kitchen still has old-fashioned linoleum tiles, it is time that you tackle an Airbnb renovation project. After all, you do not want your dated interior to floor your guests. Luckily by applying some of the following tips, you can ensure that your Airbnb renovation cost remains affordable. If you do not know where to start, this is the place. One easy do-it-yourself Airbnb renovation project is to paint your kitchen cabinets. If you think you are up to the challenge, just make sure that you remove the doors of the cabinets completely before you paint them and only reinstall them after they have dried completely. With regards to the colour, it is best to stick to a classic colour such as grey, white or black that works well with virtually everything. A more demanding Airbnb renovation project is to replace the countertops. You might be tempted to use marble or granite, but the reality is that these types of finishes call for a lot of maintenance and can crack or chip easily. A more affordable option is a laminate countertop that looks similar to granite. The good news is that you do not have to boast the biggest kitchen to impress. If you feel your kitchen is too small to prepare cooked meals you can perhaps even offer a food service as one of your additional services to sell to your guests. Your bathroom is another deal-breaker. After your guests have checked out your kitchen, they will most likely look at your bathroom. Luckily a small Airbnb renovation project such as simply replacing the showerhead or installing a new light fixture can make a world of difference. And, for those hosts who are up for a much bigger change, it can be a good idea to add another bathroom to your property, if feasible. Guests, in particular families, really love properties that boast an additional bathroom. If any of the slats of your blinds are broken, it is also better to replace them as it could pose a possible safety risk. Another example of a possible safety risk that will require your attention as soon as possible is dangling cords. At the end of the day it does not matter if you have curtains, blinds, or shutters, if it is subjected to repeated use, you have to be ready to deal with normal wear and tear. Therefore, be prepared to replace it every seven years. Unlike your exterior walls, the rules regarding taking care of your property’s exterior are not set in stone. There are a number of Airbnb renovation gurus who suggest that you should paint the exterior once every five years, while others suggest that once every 10 years will suffice. All things considered, this magic number will depend on factors like its location and kind of finish. For example, properties that are located close to the beach will need to be repainted more often. One top tip is to make sure that you make a note of the brand and name of the paint. 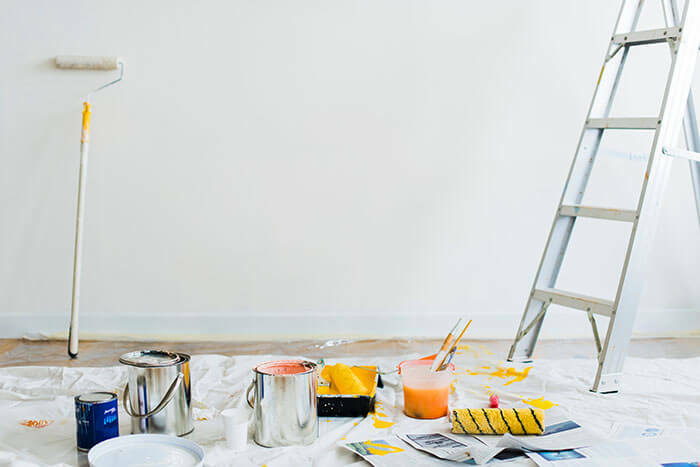 Sometimes you might only need to repaint a wall and not the entire exterior to help minimise your home renovation costs. Your Airbnb renovation projects do not have to stop at the physical building. If your property has a garden, it is key that you ensure that it is kept in good condition. After all, this is the first thing that your guests will see. Also, if there are any gates, steps or fences, make sure that these are in good working condition as your guests’ safety is of paramount importance. 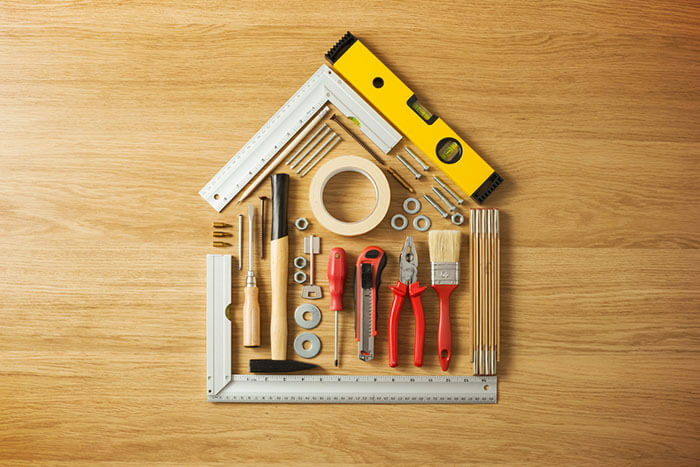 All things considered, you do not have to be a creative genius to tackle that Airbnb renovation project. The secret is simplicity! Your first goal should always be to ensure that your property is functional so that you can avoid some of the most common Airbnb complaints that have hosts tossing and turning.